Indie Retro News: Luigi's Summer Adventure - NES Hack - Luigi embarks on a new quest to save the princess! Luigi's Summer Adventure - NES Hack - Luigi embarks on a new quest to save the princess! It was only just recently we told you about teeporage777's ROM hack of Super Mario Bros, in 'Mario's Moonlight Adventure Hack'. 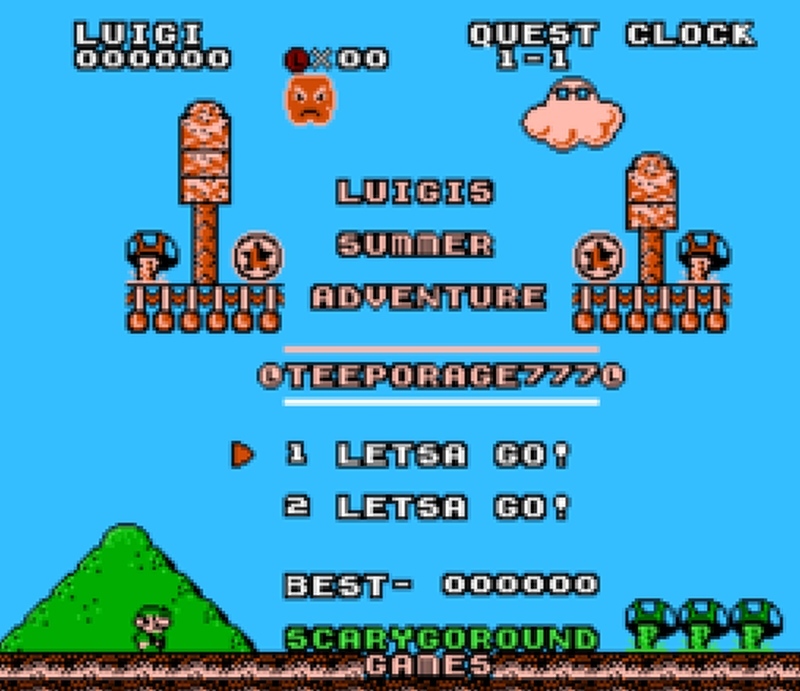 But it looks as if the same person has done another NES ROM hack and this time it stars Luigi in 'Luigi's Summer Adventure'. Unlike the previous twist of the original game, this one puts you in the shoes of Luigi, and it's down to you to save the princess as Mario has decided to take a summer vacation, and leave Luigi in charge of the entire Mushroom Kingdom! 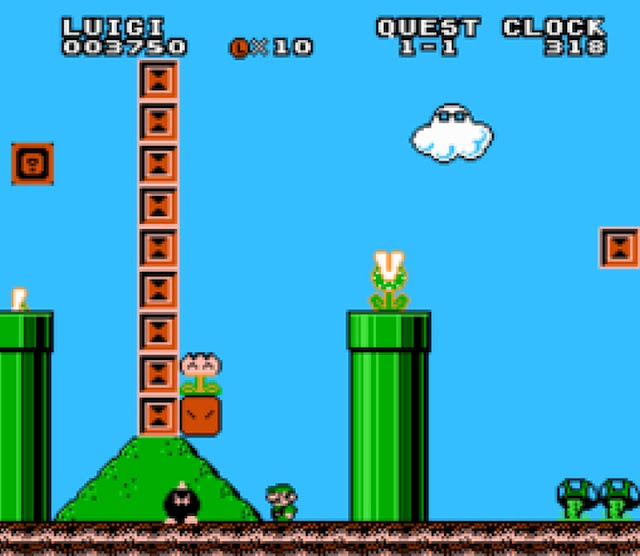 Just as in the previous release, Luigi's Summer Adventure is almost a new game, as it doesn't just feature new levels, but it also features new graphics and new enemies that must be defeated before you can rescue the princess from Bowser and his minions. Be aware though if you think the game is going to be a cake walk it wont be, as there some rather difficult stages to get through. So good luck on your rescue mission! A patching program such as beat or Floating IPS may be needed to add the hack/patch to the main Super Mario Bros. (World).nes Rom, which isn't available here.